Jamb 2019 Exam Date And Registration Form is Finally being decided. Sales of Jamb 2019 registration form begins January 10th 2019 and the Registration Deadline is February 21st 2019. Jamb 2019 Exam date is March 16th to March 23rd, 2019. Hope I have been able to answer your question as to when Jamb 2019/2020 is starting? Deadline for sales of Jamb 2019 form is February 21st 2019 (Six weeks after commencement) You can create your Jamb 2019 Profile right now by clicking here. For how to register Jamb 2019 without mistakes click here now. You may continue reading to get all other Jamb 2019/2020 latest news updates today. Also, you will get Jamb latest news updates on Admission status, Jamb caps portal, no results yet issue, awaiting results, Jamb 2019 direct entry form, etc. Jamb will release results for candidates with no result yet. Jamb to set an examination for those who had computer issues. You can actually gain admission no matter your Jamb 2019 score. Do you want to know the reasons why you may not gain admission and how to overcome it? See it here. The Joint Admission and matriculation board releases result for those who write Jamb few days after the exam date. If you could not see your result online, you may want to check again. All you need to do is visit jamb portal by clicking here and log in with your username and password (which you used to create Jamb profile); then click on check result in your Jamb profile. It also enables you to differentiate your Jamb score with respect to the school you chose. See the general cut off for top Universities here. The registration fee for the 2019 Unified Tertiary Matriculation Examination or Direct Entry used to be Five Thousand Naira (₦5,000) only. FG has now reduced the price to #3,500. However, some banks and centres still charge extra. What novels are we to use for Jamb 2019? Candidates are also, as usual, to pay Five Hundred Naira (₦500) only to obtain the reading text- “SWEET SIXTEEN” for UTME candidates and “The Last Days at Forcados High School” for Direct Entry Candidates. So many persons complain of mistakes after registering for Jamb 2019. At such, they run to and fro for the best way they can correct the mistakes they made. It is better to be guided when you are yet to register than to be consoled when you have already registered. Click here to read how to register Jamb without mistakes. Jamb 2005 cannot be compared to Jamb 2017. Everything has changed about Jamb. The examination has successfully moved from the normal paper and pen method to Jamb CBT. There have been so many trends in the Jamb registration, examination and Original Jamb result slip printing. READ: How to survive the recent Jamb cbt update. There is no product without a process. To pass Jamb, you need to apply certain success principles. These principles have already discussed. 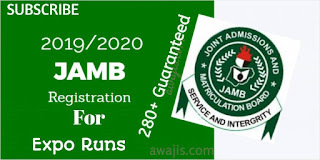 Read How to pass Jamb 2019/20 by all means and how to gain total salvation in Jamb UTME. 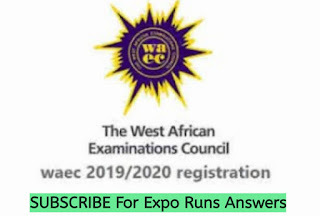 0 Response to "Jamb 2019 Exam Date And Everything You Need To Know Right Now"